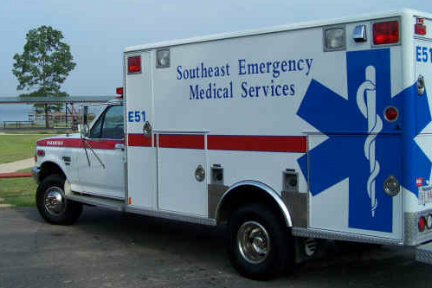 On May 12, 2006, Southeast EmergencyÂ Services began operation,Â serving Monticello and Drew County with ambulance service. Lyle was born, raised, and graduated High School at Arkadelphia. Lyle attended Henderson State University and became a paramedic on February 21, 1996.Â He had taken an EMT class, since he was a member of the local Volunteer Fire Department.Â The instructor complimented his work in class, and encouraged Lyle to enroll in the upcoming Paramedic class, that was being taught.Â Lyle did, and has been a Paramedic for 12 years now. 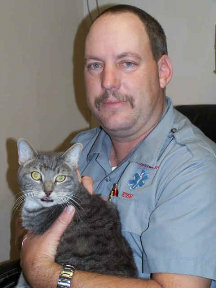 LyleÂ startedÂ his EMS career here in Monticello on April 1, 1996 and has been here working on an ambulance in Monticello ever since, with the exception of 6 months he was at MEMS in Little Rock. He is married to Kim Fenton Welch.Â They have four children:Â Shea Welch, who is planning on starting her junior year of college at the University of Arkansas in the fall.Â Tyler Welch, an upcoming basketball star at Emmit High School.Â Kayla Fenton who attends Monticello schools.Â Jordan Welch, the youngest of the four. Lyle and his family attend Serenity Baptist Church. His hobbies include hunting, fishing, and remote control model airplanes. Music-Classic country and today’s rock.Â Sometimes “disco” on XM. Sports team-Excluding Billies, Pirates, Hogs, & Weevils-Dallas Cowboys & St. Louis Cardinals. Favorite book-A Look At Life From A Deer-stand, by Steve Chapman. Lyle Welch and SEEMS, another “person behind the scenes” that keeps Monticello going strong. Click here to go to Southeast Emergency Services’ website.Â It’ll give you information on what are classified as “emergencies”, as well as info about their services. Lyle Welch, thanks for sharing your One Monticello Life. 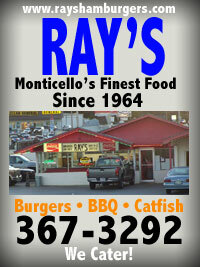 Click here to see the One Monticello Life archives. This entry was posted on Sunday, January 20th, 2008 at 2:00 pm	and is filed under Feature: OML. You can follow any responses to this entry through the RSS 2.0 feed. You can leave a response, or trackback from your own site. I know as a Mother in Law I am not supposed to like my son in law but Lyle does so much for our family and the the city of Monticello, and besides he puts up with my daughter,ha I just want to let everyone know what a great person he is. Thanks Joe for naming Lyle Welch as One Monticello Life. He is an awesome man who does so many things for people that goes unnoticed. Lyle is the kind of person that will help anyone without getting anything in return. He very much takes care of and looks after people more than himself. Also, behind every good man is a good woman his wife Kim is the same way, these two people are a blessing to so many more people than they realize. Their business is a much needed asset to Monticello and I hope people notice the care, compassion and kindness Lyle, Kim and all the workers give to everyone they come in contact with while working and also when they just meet you on the street. I am thankful to have Lyle, Kim and Southeast Ambulance service as a part of the community I live in. I personally want to thank you both and your employees for the great job you do everyday and night. Hey Lyle! Congrats! I’m proud of you and proud to call you my friend! Go daddy ur the man!!!!! I work in the ER and I get to see all of the ambulance crews. Lyle has always been one of my favorites. He is always so kind and caring with the patients and their families. Keep up the good work! 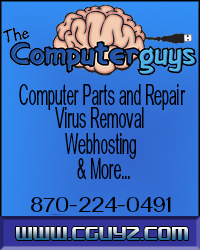 Lyle, his family and crew are a breath of fresh air! I am so proud that you accomplished this. Even though I do live in Houston, I still keep up with what is going on in Drew County. I worked with you for two years at the “other” ambulance service and I know that you will make sure that all of your employees are professional and not just there to fill a seat. It is so nice to know that you are there to take care of all of my family if needed. Don’t worry they know who to call.